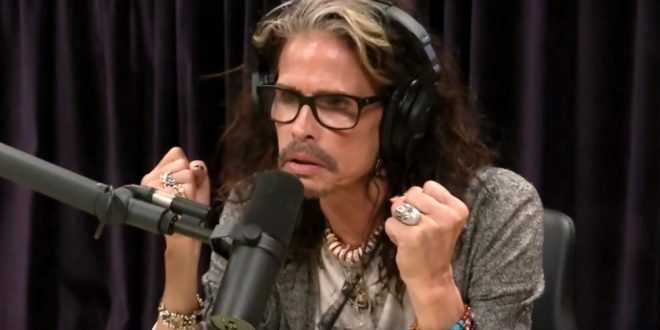 Steven Tyler To Trump: Stop Using Aerosmith's Music - Joe.My.God. Aerosmith singer Steven Tyler is demanding President Donald Trump stop using the band’s songs at rallies, like the one held at the Charleston Civic Center in West Virginia on Tuesday (August 21). The band’s 1993 hit “Livin’ on the Edge” was played as Trump devotees entered the venue, which has a capacity of 13,500. Tyler has in turn sent a “cease and desist” letter through his attorney Dina LaPolt to the White House accusing the President of willful infringement in broadcasting the song, which was written by Tyler, Joe Perry and Mark Hudson.